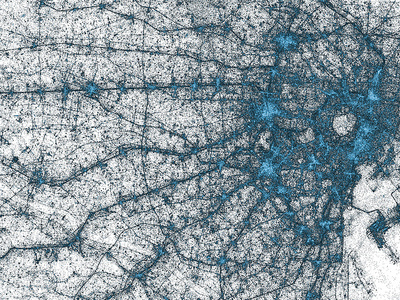 Twitter's Visual Insights team developed these images of all geotagged tweets since 2009, visualizing bilions of tweets. The clarity of regional images includes faint trails of maritime traffic, in addition to familiar geogrpahic boundaries. 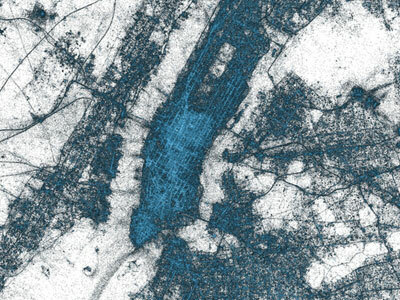 Maps were also developed for major cities such as Istanbul, Tokyo, and New York City.